The SSA is very specific as to how severe an anxiety disorder must be and how the disease is documented in order to qualify for disability assistance. Is a person who is suffering with an anxiety disorder eligible for Social Security Disability Insurance? The answer is yes – and no. Though many people who have anxiety disorders apply for SSDI, most cases are not severe enough to qualify. The Social Security Administration is very specific as to how severe an anxiety disorder must be and has rigid requirements regarding how the disease is documented in order to meet those requirements. 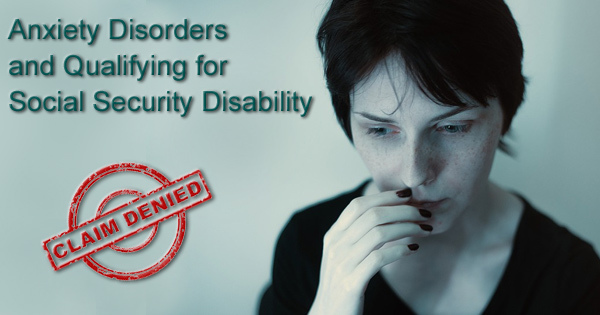 The SSA specifically defines anxiety-related disorders as potential reasons for a claimant to legitimately receive federal disability benefits. Call 512-454-4000 and get help today. Anxiety disorders are recognized in Social Security’s Blue Book under Section 12.00 Mental Disorders which is divided into 11 categories including schizophrenia, bipolar disorder and eating disorders. Anxiety and obsessive-compulsive disorders are listed under section 12.06 and are characterized by excessive worry, fear, apprehension, and avoidance of feelings, activities, places, people, and/or objects. Contact a Social Security disability attorney at 512-454-4000 for a free consultation and see if you can get disability benefits while suffering from an anxiety disorder. If you have been denied disability don’t give up! 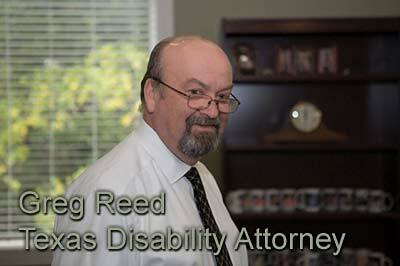 What specific anxiety disorders are considered impairments by the Social Security Administration? This disorder is characterized by a fear of being judged, being perceived in a negative way, or rejected in social situations. A person may worry about appearing anxious and avoid social situations. When a social situation cannot be avoided, the person experiences extreme stress and anxiety. An individual with panic disorder experiences sudden episodes of intense fear or a sense of impending danger. Physical symptoms include excessive sweating, nausea, rapid heartbeat and trembling. In this disorder, a person experiences uncontrollable recurring thoughts or behaviors they repeat over and over. Examples include an intense fear of germs manifesting in excessive hand washing or constantly rearranging objects in a particular order. The individual worries about a variety of different things including money, family, health, work, and disasters, but the worry is out of proportion to the impact of the event. People with this anxiety disorder may perceive situations as life threatening when they are not, or be so worried about making a wrong decision that they become unable to make any decision. It is difficult to claim SSDI under an anxiety disorder because medical evidence supporting this diagnosis is often very subjective. Diagnosis is frequently based on feelings and behaviors that occur outside of a doctor’s office and reported by the patient to the doctor rather than diagnostic test results. In order to qualify for SSDI, an applicant must satisfy stringent criteria specified by the Social Security Administration. First, an applicant must submit medical documentation confirming they have an anxiety disorder. Social Security will then evaluate an applicant’s ability to function independently and on a consistent basis. You must have a documented medical history of the anxiety disorder over a two-year period, classifying the disorder as “serious and persistent.” You must provide evidence that you rely on medical treatment and therapy to manage symptoms and have limited ability to adapt to changes in your environment or new situations. Social Security will review evidence provided by your healthcare providers describing your symptoms as well as results of any physical and mental exams. Social Security will seek information from family, friends, neighbors, co-workers, employers and caregivers who are familiar with your symptoms and how you interact with others on a daily basis. The agency will also want to know your limitations in adapting to new situations or changes in your environment. In order to qualify for SSDI, an anxiety disorder must be so overwhelming that functioning at school, in relationships, and at work becomes difficult and even impossible. If you suffer from an anxiety disorder, you may be eligible for Social Security Disability benefits.